As we reported yesterday, the latest version of Oxygen OS Oreo Beta program is now live. With the new Open Beta 27 for OnePlus 3 and the Beta 18 for OnePlus 3T is now live with stunning new features and stability updates. 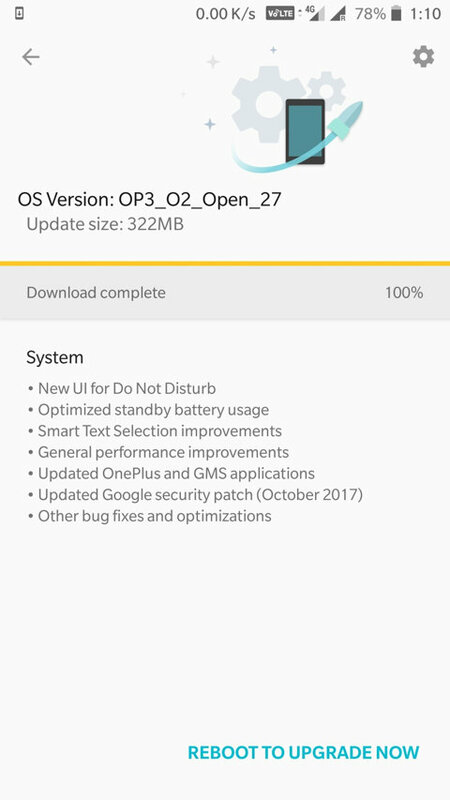 The update finally features latest October 2017 security patch level. However, it does not bring any WiFi KRACK and Blueborne vulnerability patch. Latest Open Beta for OnePlus 3/3T phones now feature a new user interface for Do Not Disturb which will help you understand the new settings. Other than that, you will see optimized standby battery time. With better RAM management, you will see performance improvements with the ROM. See the full change log and downloads below. More such updates come to language localization, extended screenshot in some applications. This update also includes Bluetooth performance enhancements, camera gesture fixes, and RAM optimizations. As it is a beta firmware update, there are some known issues. There are two two UI bugs with the firmware which shows blank spaces in certain areas of the UX.